Goat Milk Lotion & Lip Balm Giveaway Winners! And we have a winner. . . Wait, I mean, two winners! 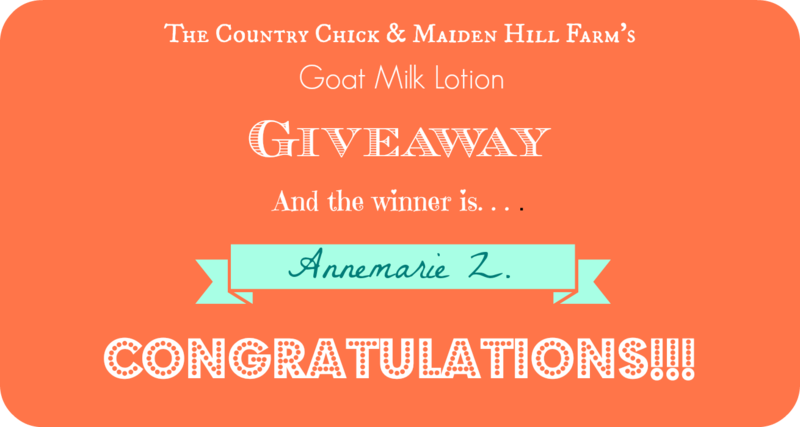 The first prize winner of one (4 ounce) bottle of our goat milk lotion (made with fresh goat milk from our herd, avocado oil, grapeseed oil, shea butter, etc) is Annemarie Z. 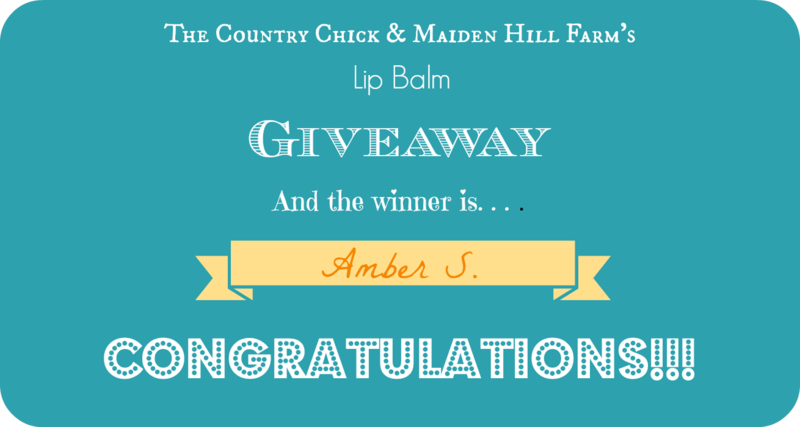 The winner of the second prize, one tube of lip balm (made with beeswax, coconut oil, mango butter, etc) is Amber S.
Congratulations y’all! I’ll contact both of you very shortly. If you didn’t win, but would still like to purchase one of our many soaps, lotions, and lip balms, visit Maiden Hill Farm on Etsy here (use code 10OFFMHF for 10% off your order) and be sure to check out the Christmas soaps. Reindeer Poo, anyone? It actually smells pretty fantastic despite the name. A big thank you to everyone who entered, and remember to stay tuned for more giveaways in the future. Next post: Cute Reindeer Packaging 2013 Update!